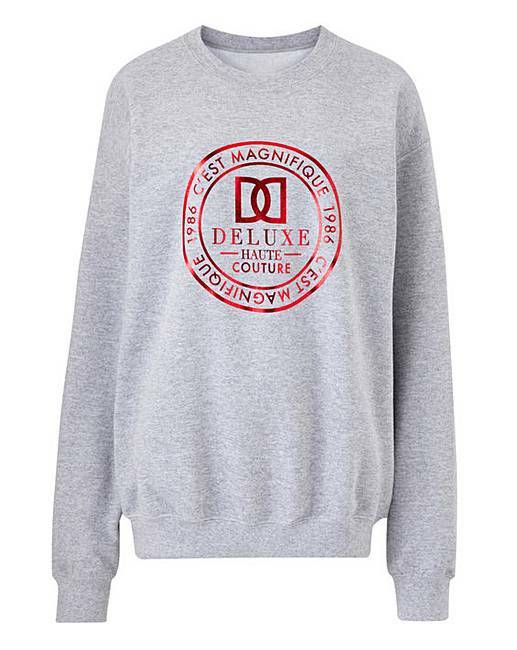 Our slogan sweatshirt is a wardrobe must have. In a gorgeous red foil print, this is a statement piece this season. S (10), M (12/14), L (16/18), XL (20/22), 2XL (24/26).